When a disruptive kid joins her class, teacher Suzi is immediately attracted to his father Cameron. But handsome architect Cameron’s situation is complicated and Suzi isn’t sure she is ready for love after recently losing her husband. Will they work it out or has the perfect man come too soon for Suzi? A heart-warming full length romance novel which you won’t be able to put down. 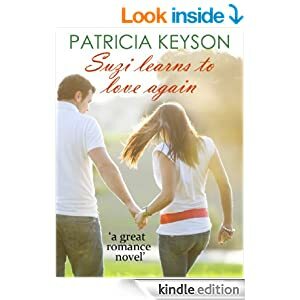 Patricia Keyson is the best-selling author of HOLIDAY ROMANCE, SNOWBOUND WITH A STRANGER, CHERRY BLOSSOMS, and THE MAGIC TOUCH, all available on Kindle.